Initially, it was believed that the failure of androgen ablation therapy is due to a loss of AR, the target of this therapy (Coffey and Isaacs 1981). This hypothesis was based on findings in the rat Dunning tumor system and human prostate cancer cell lines. In these models sensitivity towards androgen withdrawal correlates with the presence of AR protein (Diamond and Barrack 1984; Schuurmans et al. 1989; Tilley et al. 1990b). Cell lines that inactivate or lose the AR gene are not affected by ablation therapy and are more aggressive than their AR expressing counterparts (Isaacs etal. 1982). However, immunohistochemistry data unequivocally revealed that this model does not reflect the situation in the human cancer patient. Now it is generally accepted that the AR is not lost during prostate cancer progression from an androgen ablation-sensitive to an insensitive tumor state. Primary prostate tumors, as well as locally recurrent, therapy-resistant tumors (van der Kwast et al. 1991; Ruizeveldde Winter etal. 1994),lymph node metastasis (Hobisch etal. 1995a), and distant metastasis (Hobisch etal. 1995b) all express the androgen receptor and there is no correlation with the response to ablation therapy. The only difference that was described is a more heterogeneous expression pattern (Buchanan et al. 2001; Culig etal. 2003; De Winter etal. 1990; Miyamoto etal. 1993; Marcelli etal. 2000; Segawa etal. 2002). To study the molecular events that occur during the transition from an androgen-dependent to an androgen-independent state, androgen ablation was simulated in a cell culture system using the prostate cancer cell line LNCaP. These cells, derived from a lymph node metastasis of a prostate cancer patient, express a high amount of AR and grow in an androgen-sensitive manner and thus represent early prostate cancer (Horoszewicz et al. 1983). They adapt to the condition of low androgen abundance during long-term culture in steroid-depleted medium and after some months, they change their phenotype to represent cells that are androgen-independent (Culig etal. 1999; Gao etal. 1999; Kokontis etal. 1994). They then became hypersensitive to very low concentrations of androgens and their growth-response curve is shifted to lower concentrations of androgens by at least one order of magnitude (Culig et al. 1999; Kokontis et al. 1994). When the duration of culture in steroid-depleted medium is extended, they even become inhibited by testosterone and stimulated by an antiandrogen (Culig etal., 2000; Kokontis et al. 1998). A change that becomes obvious in the long-term androgen ablated LNCaP cells is a 3-4 fold elevated androgen receptor level and enhanced androgen receptor transcriptional activity as revealed by reporter gene assays (Culig et al. 1999). A similar antagonist to agonist switch in LNCaP cells was also found after long-term treatment of these cells with tumor necrosis factor alpha (TNFa) (Harada et al. 2001). The switch of an antiandrogen to an AR activator - in this case this is observed for the antiandrogen bicalutamide - is also characteristic for the situation in patients, where prostate tumors escape androgen ablation therapy. 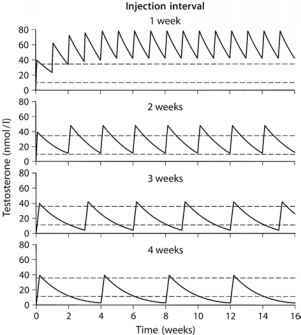 A phenomenon termed "withdrawal syndrome" is observed with all antiandro-gens used in therapy. This phenomenon describes the situation whereby cessation of the antiandrogen medication in patients who show a rise in serum PSA during AR blockade leads to an improvement of clinical symptoms and a decrease in PSA serum levels. This effect is observed in about one third of the cases (Caldiroli etal. 2001; Scher and Kolvenbag 1997; Wirth and Froschermaier 1997). Although this phenomenon is not completely understood, aberrant activation of the androgen receptor by the antiandrogen is the only plausible explanation (Hara et al. 2003; Moul etal. 1995). The finding that antiandrogens can become AR agonists in tumors that escape therapy, together with the observed AR expression in the advanced tumor stages underscores the crucial importance of androgen receptor signaling in all stages of prostate cancer. There have been worldwide efforts in the last decade to shed light on the underlying molecular mechanisms by which the AR promotes growth and survival of hormone-refractory prostate tumors in the absence of androgens (Culig etal. 2001; Eder et al. 2001; Feldman and Feldman 2001; Grossmann etal. 2001). Four different escape scenarios have been established: first, amplification of the AR gene and AR overexpression; second, gain of function AR mutations; third, non-classical activation of the androgen receptor and fourth, changes in coactivators and corepressors that modulate AR transcriptional activity (Fig. 2.7). Increase of receptor concentration in the tumor cells seems to be one way of circumventing the effects of androgen withdrawal. Fluorescence in situ hybridization studies identified AR gene amplification in about one third of tumors that escaped androgen ablation therapy (Bubendorf et al. 1999; Koivisto et al. 1996; Visakorpi et al. 1995). Amplification is strictly dependent on previous treatment and was never observed in untreated patients, indicating that the androgen ablation most likely selects for tumor cells with AR gene amplification. Analysis of AR expression at the mRNA level by RT-PCR revealed increased AR levels in tumors with gene amplification but also in tumors with non-amplified AR gene (Linja etal. 2001). On the whole, AR mRNA levels were six-fold higher in androgen-independent as compared to androgen-dependent tumors and benign prostate tissue (Linja etal. 2001). Most interestingly, AR gene amplification was associated with a favorable response to second line androgen ablation treatment, although there was no evidence of an advantage in survival (Palmberg etal. 2000). The vast majority of prostate tumors is androgen-dependent and responds to androgen ablation therapy for a limited period of time. The selection pressure of androgen deprivation elicits the generation of a hyperreactive AR. The molecular changes involve mutation of the AR to generate promiscuous receptors that are activated by different steroid hormones and/or antiandrogens, overexpression of the AR protein, enhanced ligand-independent activation by cross-talk with other signaling pathways, and dysregulation of expression of AR coactivators and corepressors. New efforts to block the activity of the hyperreactive AR in therapy-resistant prostate cancer are focused on the use of antisense oligonucleotides or siRNA to knock down AR expression, the use of geldanamycin antibiotics that disturb AR interaction with heat shock protein Hsp 90 and thus trigger AR protein degradation, and, the blockade of signal tranduction pathways that activate the AR in a ligand-independent manner. Another mechanism employed by prostate cancer cells to escape therapy is through mutation of the AR. Some eighty mutations have been found in prostate cancer specimens (Gottlieb et al. 2001). The vast majority are point mutations resulting in single amino acid exchanges, a few are mutations that introduce a premature stop codon or affect non-coding regions of the AR gene. With only few exceptions, AR mutations in prostate cancer are somatic (Buchanan et al. 2001; Culig et al. 2003; Marcelli et al. 2000). Most studies on prostate cancer revealed that AR mutations are rare in primary tumors from patients with localized prostate cancer and obviously do not account for prostate carcinogenesis. However, the frequency of AR mutations is much higher, probably up to 50%, in hormone-refractory recurrent tumors and distant metastases (Hyytinen et al. 2002; Suzuki etal. 1993; Taplin etal. 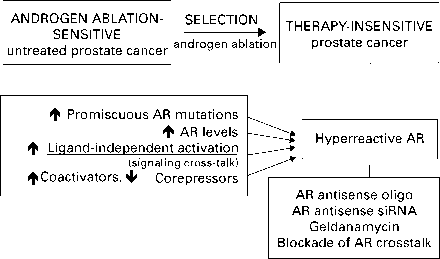 1995; 2003) indicating that AR mutations play a crucial role in progression to metastatic disease. The predominate properties of mutant receptors found in prostate tumors are loss of androgen specificity and promiscuous activation by different steroids and antiandrogens (Table 2.1). 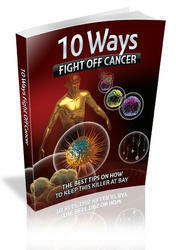 This seems to improve the survival conditions of a tumor during androgen ablation therapy. Among the ligands that activate one or several mutant androgen receptors in prostate tumor cells are estradiol, progesterone, glucocorticoids, adrenal androgens, androgen metabolites and the antiandrogens cyproterone acetate, hydroxyflutamide, nilutinamide and bicalutamide (Hara etal. 2003; Suzuki etal. 1996; Veldscholte etal. 1992a; Wang etal. 2000). Mutant androgen receptors are not only present in tumor tissue but also the majority of established AR expressing tumor cell lines harbor mutant ARs. In the LNCaP prostate cancer cells AR amino acid 877 is mutated (Thr^ Ala) and in addition to androgens, this receptor is activated by estradiol, progesterone derivatives and the antiandrogens hydroxyflutamide and nilutamide (Montgomery etal. 1992; Veldscholte etal. 1990b; 1992a). These hormones stimulate LNCaP cell growth and promote the dissociation of heat-shock proteins from the receptor, which is normally observed in presence of androgens (Veldscholte et al. 1990a; 1990b; 1992b). The amino acid site mutated in LNCaP cells seems to be a hot spot for mutations in prostate cancers that escaped androgen ablation therapy (Gaddipati etal. 1994). Besides mutations, another possible reason for androgen-independent prostate tumor growth may be ligand-independent activation of the AR. Cross-talk with growth factors (IGF, EGF, KGF, Her-2/Neu receptor) and interleukin-6 signaling, the protein kinase A and protein kinase B (Akt) pathways activate the AR in prostate cancer cells under the conditions of androgen ablation. These have been described in section 2.5.2. The androgen receptor, like other steroid receptors, interacts with a number of coregulatory proteins - such as coactivators, corepressors and bridging proteins, which modulate its activity as a transcription factor (for details see section 2.4.3). Dysregulation of expression of such proteins that enhance or suppress AR tran-scriptional activity also seem to be involved in the escape of tumor cells from therapy.